The most important decision that you will ever make is choosing the right partner. He or she will be the person you will be spending the rest of your life with, which mean that person will be your partner in every thing. 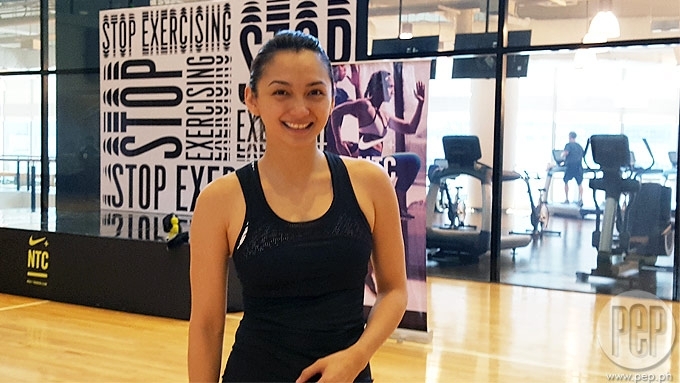 Iya Villania, who has been married to Drew Arellano for three years now, is happy that her husband makes an excellent parenting partner. At the launch of Nike Training Club in Kerry Sports, she described to PEP.ph (Philippine Entertainment Portal) what the Arellano household is like now that they have Baby Primo. "It's just fun at home, siya yung makulit na dad, ayaw niyang na-i-stress si Primo. "Siya yung, kapag pagod ako and hindi ko na kaya ipatahan si Primo, si Drew na bahala, isasayaw niya, literal na sayaw! "He is nakakaaliw and a very entertaining dad." Of course, her life is never the same. "Being a mom just changed everything. Time, it's all about Primo now." Thankfully, Iya has comfortably settled into her role as a new mom. The hardest period was the first two weeks. She was sleepless and always tired. It took her and Drew about two months before they could create a routine. "Being with him throughout the day is very easy," she began. "Now that his feeding intervals are longer, I have more time to do things. "Scheduling isn't as hard as it used to be. "Yung sinasabi nila, you will make a way, kapag ayaw, ang dami mong dahilan. "If there is something I want to do, I still get it done." LESSONS LEARNED. 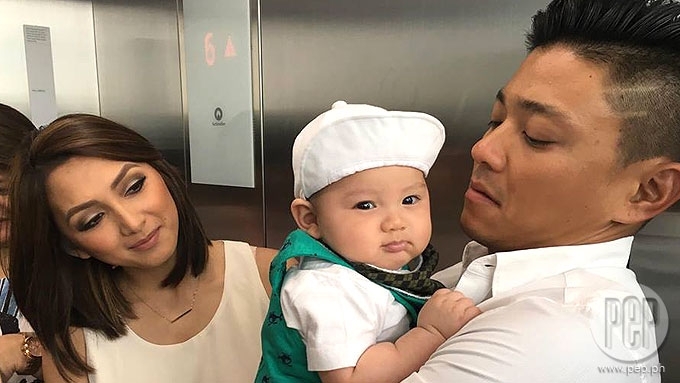 Seven months after she gave birth, the Kapuso host is most proud about being more patient and understanding. "That has taught me a lot in terms of development, just dealing with him because he can't really communicate his needs. "I just have to kinda understand him, and it's all kinda new to me and for anyone. "I am sure it can get quite frustrating, that has helped me a lot, learn to be patient, and try to understand from his perspective. "The best lessons I think, it's really more about having patience, and trying to take things, understand things from their perspective." Throughout her journey as a new mom, she's grateful to have Drew by her side. "He has made things lighter for me. "So if your partner is not as hands-on, I don't know how other moms survive it. PRIMO. On a separate note, we're curious how they got their baby's second name. Smiling, Iya asked, "Yung totoo? Primo, dahil sa Optimus Prime," referring to the leader of autobots in the movie franchise Transformers. "Hanggang sa lalo nung nalaman namin na lalaki, all the more, Antonio Primo na yun. "Ang nakakatawa, we had a list of names for girls, sa lalake wala kaming ibang pangalan maisip kung hindi yung Antonio Primo. "Sabi ko, 'Naku paano eto? Primo siya ng Primo, hanggang sa nag-research na ako, and I discovered Primo actually means firstborn, panganay in Italian. "Sabi ko, 'Sige na nga nakalusot.'" As an afterthought, she laughingly added, "Si Drew, siya talaga yung panganay ko."